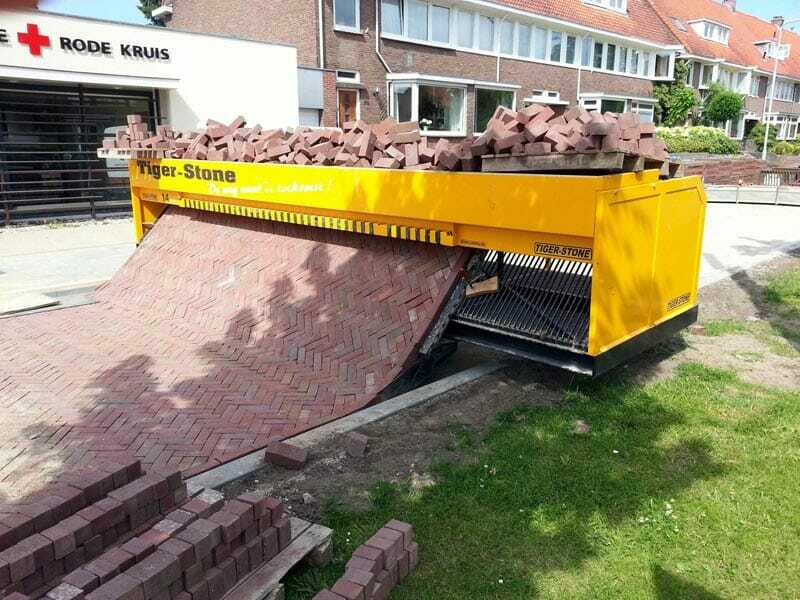 You could easily fully automate it with cobbles, which are fairly spherical? Cubic bricks would also be a doddle, but the neighbours might complain about the noise. Incidentally, the municipality here has been laying cobbles. They had to get some Polish and Italian firms to supply the labour. (Pauvre France! as they say round here.) My historical view is that the more you spend on cobbles the closer the revolution. I thought it was shredding bricks. Now that would be cool! this reminds me a bit of a company my father helped found. How would it handle curves, if at all? Funny you picked this up. A guy in my hometown made this machine, and it works great although it has some restrictions.